This is a staking diamond ring inspired design. If you like tiny diamond rings which you can stake on your fingers, you will definitely like this piece. 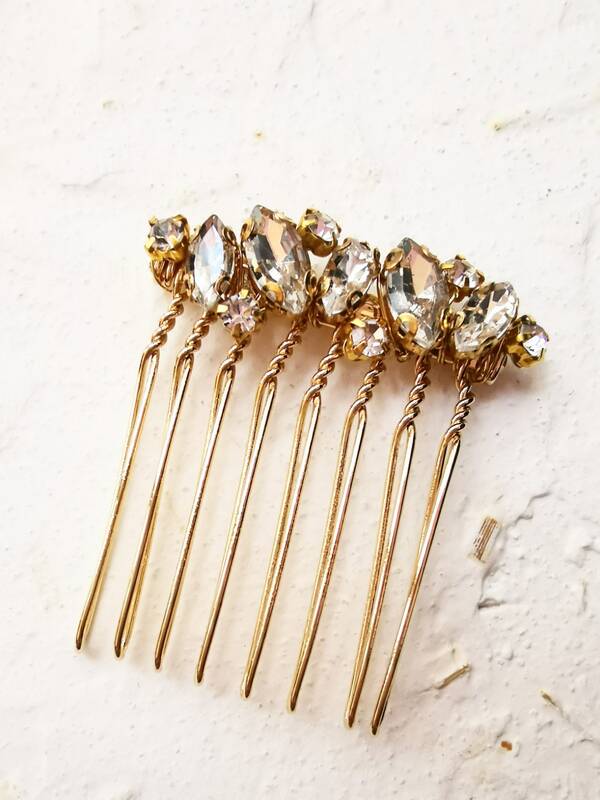 It is made of bling marquise and round cut crystals, scattered through the comb. 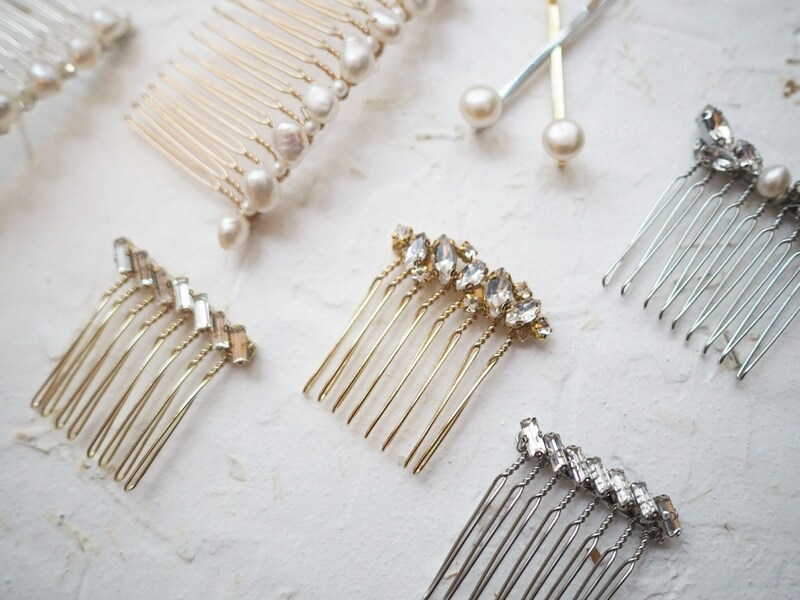 Perfect for minimal bridal or evening look.